ALEXANDRIA, VIRGINIA – The Alexandria Chamber of Commerce announced today the winners of its 2015 Salute to Veterans Awards. The program, in its inaugural year, will recognize businesses that demonstrate leadership in hiring and empowering veterans and transitioning service members, or are representative of the entrepreneurial success of a local veteran business owner. 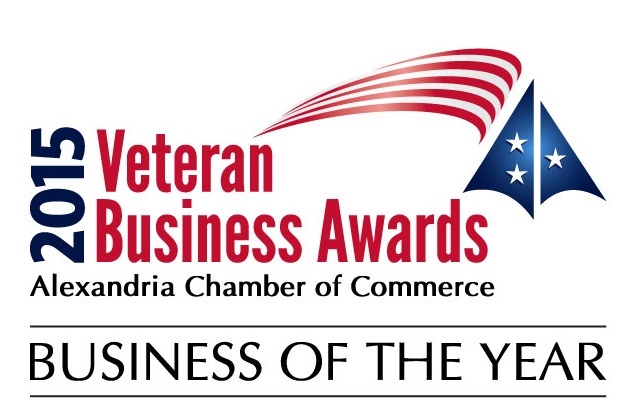 For 2015, the Chamber has selected FH+H, PLLC as one of four business to be recognized as their Veteran Business of the Year. FH+H is a veteran owned company, with 30% of our workforce being a veteran, and 5% of our workforce being a military spouse. France Hoang, named partner and US Army veteran described the importance of hiring veterans by saying, "FH+H hires veterans because they possess both the character and the competence that make them an asset to our clients and our community." Tom Craig, managing partner and US Marine Corps veteran went on to say, "FH+H’s creativity and innovation in hiring and empowering veterans stems from a combination of legal, business, and operational acumen as well as our unique emphasis on being a values driven law firm." The Chamber’s annual Salute to Veterans program will bestow awards on the honorees at its Salute to Veterans event on November 12, 2015, hosted at George Washington’s Mount Vernon. The event will begin at 8am and will be followed by a breakfast reception. “The Alexandria Chamber is deeply proud to honor these businesses and distinguished patriots who have not only served their country, but continue to serve Alexandria with significant contributions. It is their service and leadership that continue to make Alexandria a vibrant and thriving community” stated Walter Clarke, 2015 Board Chairman.